If you have not yet decorated for Halloween, you're in luck with this quick, low-cost idea from How About Orange. 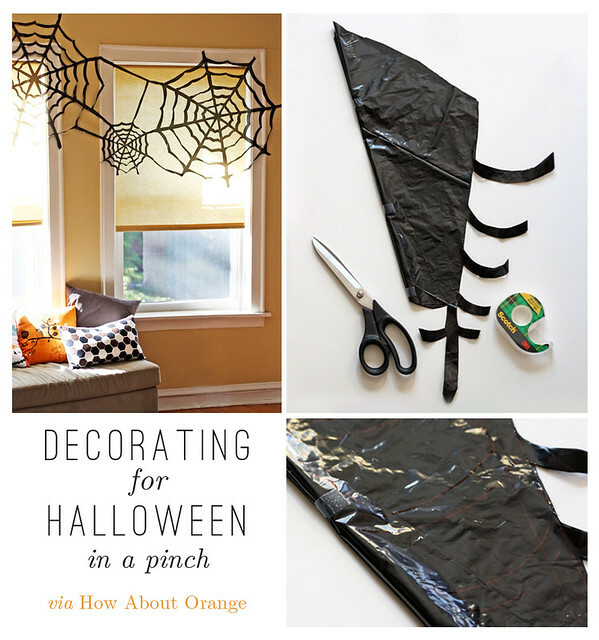 Simply grab a black trash bag, scissors and tape... and you've got giant spooky spiderwebs! These would be great indoors or outdoors, since they're water-proof. These creepy accents are perfect for adding spooky flair to your home in inconspicuous ways. 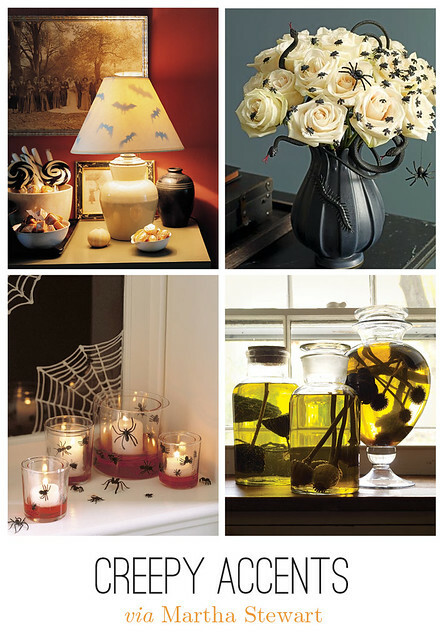 Creepy crawly bugs make floral arrangements and candles extra frightening, while paper bats cast eerie shadows on walls when taped to the underside of a lampshade. If you want to be extra creative, fill apothecary jars with "specimens" and place them on your windowsill. What are your go-to decorations for Halloween? We'd love to hear!